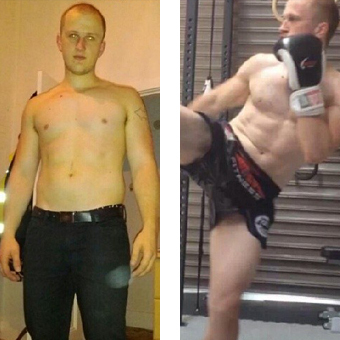 Elite Training Centre founder and trainer John Bourke lost close to 40kgs in his first year of Muay Thai training. 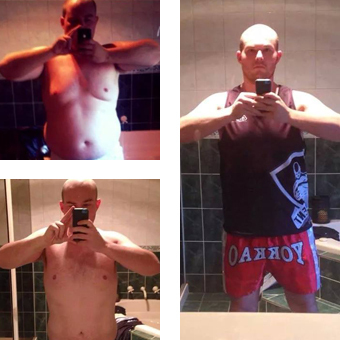 Muay Thai transformed his life and helped him regain his health and fitness. John and the other trainers at Elite Training Centre are incredibly experienced and above all passionate about their sport. See what some of our happy clients have to say about how our gym classes and fitness training helped them achieve their goals. 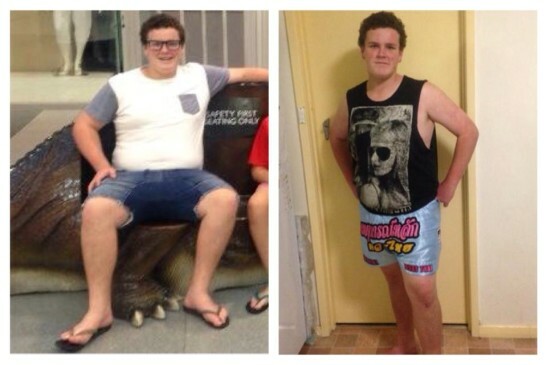 Since starting at Main Event Fitness Geelong, i have managed to drop 16 kilos in the last 3 months! I am the younger brother of one of Johnny’s fighters (Jacob Bennett), and was inspired to give Muay Thai a go after seeing the success of my older brother. Jacob has sorted the whole house out with a new diet since he has had to start watching/cutting weight for his fights, which has played a big roll in my transformation. I was extremely nervous before my first class, but everyone could not have been more welcoming. 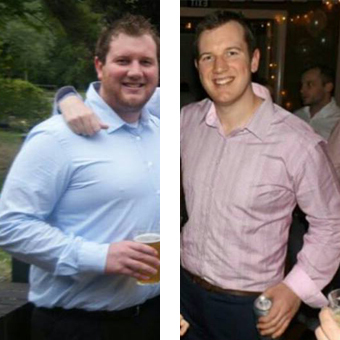 I have been with Main Event Fitness from almost day dot, and in that time i have lost 30KG in under a year! I am currently training 6 days a week and looking to have my first fight in May. T his time last year I decided to do something about my weight. 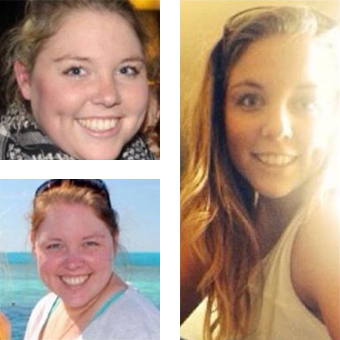 I’ve been able to lose 27kg and keep it off. I still have a little way to go before I’m at my goal weight but it’s not till I see photo’s like the one on the right I see how far I have come. I’ve meet a lot of new people and made some great friends along the way. I’d like to thank everyone that has helped me train along the way but especially my morning crews new and old. I’d like to thank Johnny Bourke Delaila Sanigorskiand Greg for training me most mornings and pushing me, you guys are awesome. A big thanks to Jodie as she helped get the ball rolling on this journey and has put up with me throughout the year. Every time I walk into Main Event Fitness I feel comfortable and always welcomed by other friendly members. Johnny is continuously reconstructing my training and keeping me determined and motivated to reach my goals. Johnny’s extensive knowledge in health, fitness, and diet has helped me achieve and maintain a healthy lifestyle. The best thing about training with Johnny is he always making the workouts challenging and fun, which of course is most important. Main Event Fitness has a great atmosphere complimented by experienced trainers who are always happy to help. It has state of the art equipment and a diverse range of classes. Roughly 18 months ago I came to Johnny as a 75kg guy with not much confidence in myself or my very skinny frame. Through his training techniques and seeing his own work ethic up close, I have regained all confidence in myself and am now are at a much healthier weight for my height. I can’t thank the man enough and can now say he is a great mate of mine. 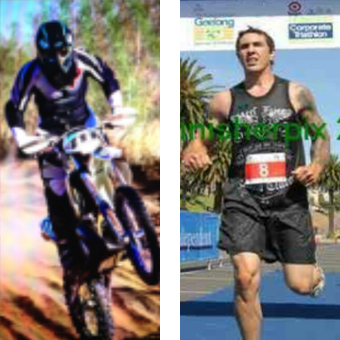 Since working with Johnny I have improved my strength, muscle endurance, fitness, self-esteem and confidence, allowing me to push my body to the limit by achieving my personal best result at one of the toughest desert races on my KTM 500cc motorbike, placing third in the class up against the best riders in the country. Without his hard work and dedication pushing me and monitoring my progress, this wouldn’t have been possible. I owe it all to him. Thanks for all your help and support. I have been training at Main Event Fitness for little over a year and in that time I managed to lose 11kgs and compete in my first Muay Thai fight. Main Event’s flexible hours have allowed me to train most days while working afternoon shift. 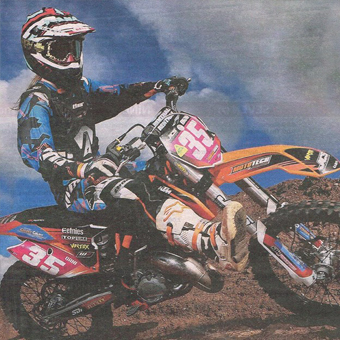 I started working with Johnny prior to the 2014 KTM Australian Junior Motocross Championship in NSW. Johnny helped me with my strength and conditioning program to help me win the Australian Championship. I am living on the Gold Coast in Queensland, and have been corresponding with Johnny via email and Facebook for training programs over the last year. 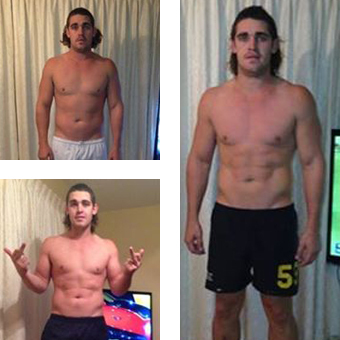 This picture is of a three-week transformation that took place. His programs required no equipment and were easy to complete at home on my own. 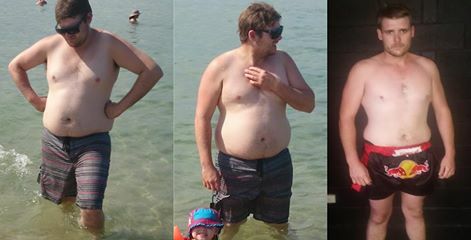 I have been training at Main Event Fitness for over a year and in that time I have managed to lose over 25kgs and gain some lifetime friends. 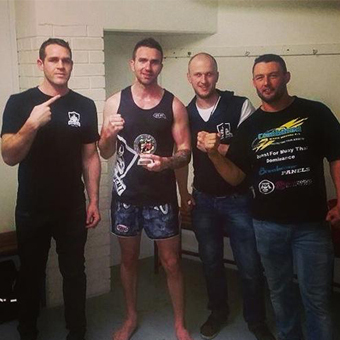 Main Event Fitness boasts the best fight facilities in Geelong and has helped improve all areas of my life. I was never one who enjoyed exercise, so after gaining a lot of weight in my first pregnancy I needed help to find motivation and direction. After hearing many positive comments about Main Event Fitness I started doing PT with Johnny Bourke. With Johnny’s constant support, direction and assistance I now really love to exercise and I have started to achieve fitness goals that I didn’t even think were possible for myself. I found that not only did my views on exercise change but I started to make better lifestyle choices for myself and family. I find it easier to stay motivated with Johnny switching around my sessions from boxing, Muay Thai, body weights, circuits, kettle bells and weight lifting, keeping things fresh and interesting. I have continued training with Johnny in my second pregnancy and find his training has helped me have a smoother and healthier pregnancy, with Johnny always making sure I am comfortable and safe during sessions. I couldn’t be happier with my experience at Main Event Fitness. Everyone – staff and clients – are so friendly, welcoming and willing to help you succeed. 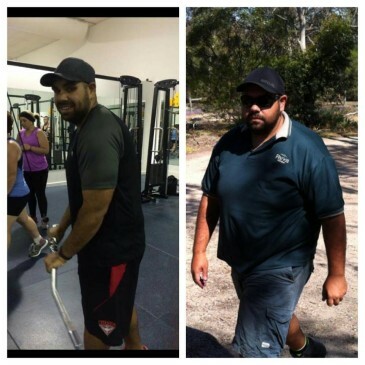 I’ve been with Main Event Fitness for 15 months and have lost 24kgs. Not only do the trainers help you achieve weight loss and training goals they provide constant advice and feedback on nutrition, supplements and injury prevention. 5/5 one of the best gyms! Not only are the facilities great but the gym has a really motivating environment/vibe making it a lot easier to achieve your fitness goals. There’s never a boring moment at Main Event Fitness and I always leave the gym knowing I got a good workout and with a smile on my face. I have been working one-on-one with Johnny for over a year now and in that time I have lost close to 35kg! This has allowed me to make a complete lifestyle change and challenged me to do things I never thought possible… like running! I’ve been a member with Main Event Fitness for nearly two years now and in that time I’ve lost 16 kilos, I’m running 10kms with ease (I hate running), made some great friends and competed in my first Muay Thai fight and won! I’m a fly-in, fly-out electrician and Main Event Fitness has given me the tools to keep motivated and stay fit while working away. Highly addictive and great fun!